Amelia died writing the word grid. Richard froze to death. The thirteen year-old twins, Delilah and Trevor were hanged with a jump rope. Four year-old Oliver was peeled. They never found that other girl. 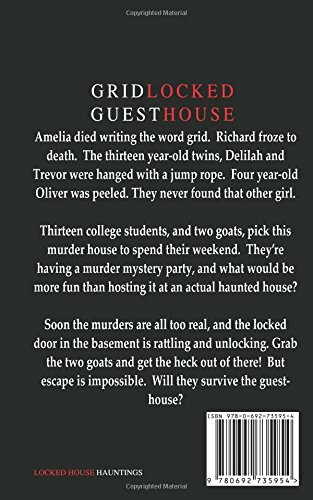 Thirteen college students, and two goats, pick this murder house to spend their weekend. They’re having a murder mystery party, and what would be more fun than hosting it at an actual haunted house? 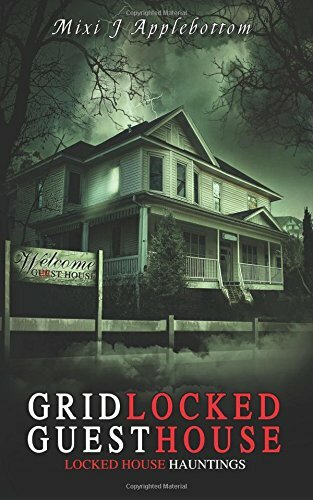 Soon the murders are all too real, and the locked door in the basement is rattling and unlocking. Grab the two goats and get the heck out of there! But escape is impossible. Will they survive the guesthouse?